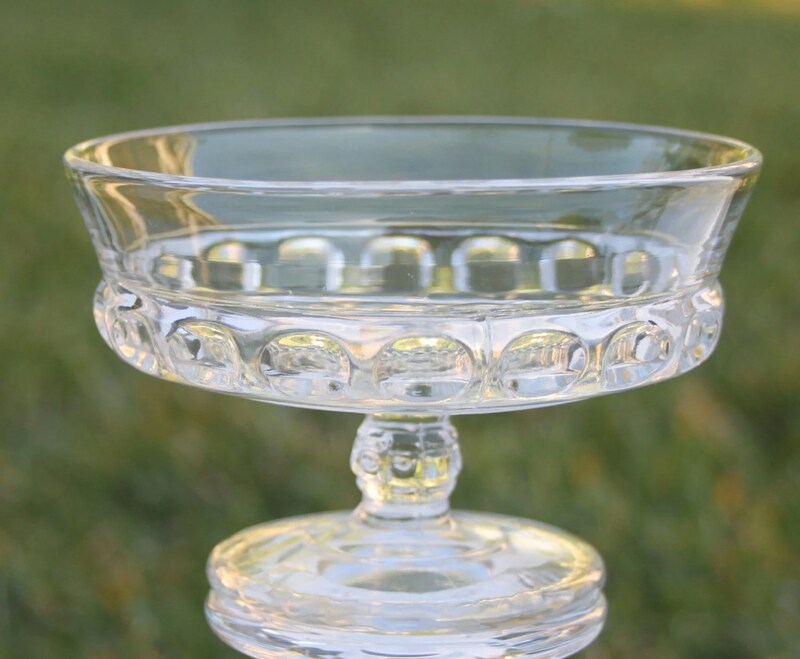 Vintage Indiana Glass Kings Crown sherbert bowls is gorgeous! Clear glass desert stemmed cups. They are in excellent condition and a great addition to any dish, glasses collection. Measure 3 1/8" tall with a diameter of 3 3/4", perfect for icecream or sherbert! This entry was posted in http://feedproxy.google.com/~r/JujubefunnyFinds/~3/hGa_Z7f6U8U/vintage-stemed-dessert-sherbet-custard1373539763 and tagged IFTTT. Bookmark the permalink.